he US Government Printing Office (GPO) publishes a wealth of resources but most patrons never tap into this valuable information because government publications don’t typically appear in the catalog alongside the rest of the collection. 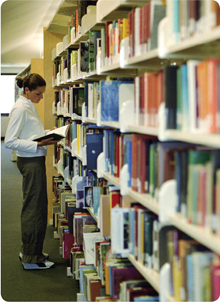 Help your patrons utilize your library’s resources to their fullest extent with MARCIVE’s GPO services. MARCIVE Enhanced GPO Database Service provides depository libraries a convenient and economical way to obtain cataloging for publications distributed through the US GPO. MARCIVE’s GPO file contains library-friendly records for all materials available from the GPO since 1976. This enhanced database was created through a collaboration between MARCIVE and librarians at Rice University, Louisiana State University and Texas A&M University. Use our Retrospective Extraction Service to add cataloging records for all of your library’s government documents to your general catalog. Designed to help depository libraries get new materials into the catalog and onto the shelves quickers, our ongoing GPO Database subscription is a monthly service that extracts records based on your GPO item number profile. We can first perform Retrospective Extraction and then keep your catalog up-to-date with an ongoing subscription or just choose to get new records. The customization options available for Retrospective Extraction are available for our ongoing service. Pricing is tiered based on the number of GPO item numbers selected. Click here to request a quote. Want records for materials available only on the web? Learn more about Documents Without Shelves.